Contrary to popular belief there are economical fishing charters to be found in the Florida Keys with a group fishing charter. For those of you who thought a private charter was out of the question due to the cost involved, we have the perfect answer for you. 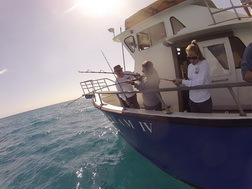 You can spend a day on the water for just a fraction of the cost of a private charter by taking advantage of a Key West party boat fishing charter. 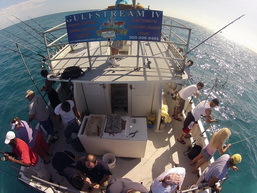 Gulfstream Fishing has been running group charters longer than any other charter boat in Key West, dating back to 1947. They feature affordable charters for up to 60 people aboard their latest addition to the fleet, the 59" Gulfstream IV. 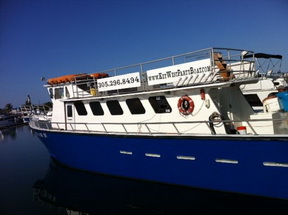 Most of the other party boats in the Florida Keys only offer four hour fishing trips. 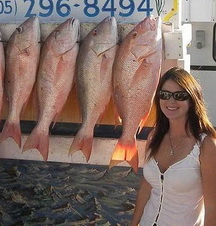 Gulfstream fishing offers the best deal on the water with their six hour voyage aboard the Gulfstream IV for just $65. 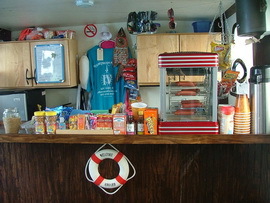 Party boat fishing is a great option for beginners and the young ones. They are affordable and often times the action is fast and furious. The cost for kids age 12 and under is only $38 while children age 5 and under the cost is $24, special gear provided. 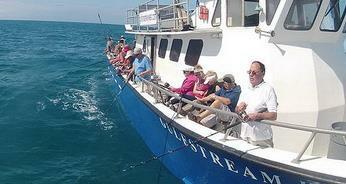 Experience Key West's most affordable charter fishing aboard the Gulf Steam IV. You'll get your moneys worth! about 20 fishermen with the max. Coolers are allowed provide they remain under 44 quarts and do not have any wheels. You may bring your own lunch if you prefer. 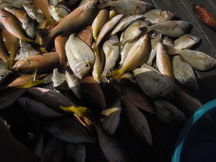 Have your fish cleaned when you return to the dock for .50 - $1 ea. depending on the fish. 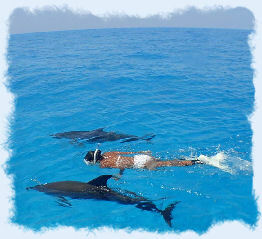 Travel time may vary from 10 - 15 minutes each way up to an hour depending on where the fish are located. You will be fishing in depths anywhere from twenty feet of water to as deep as 125 feet. The crew will be happy to bait your hooks, net your fish, and put your fish on ice for you unless you prefer to catch and release.